As a college student, we’ve all found ourselves in the Starbucks line at some point: late nights desperate for caffeine, a perpetual sweet tooth for a Frappuccino or a craving for delicious iced tea. Whatever the reason, college kids love their coffee. As a former barista, I’ve come to learn a few tips and tricks along the way to get the most for my money and make amazing drinks not found on the menu. Say goodbye to the secret menu; this guide is about to take you from an average Joe Blow to a Starbucks pro. When you need that boost of caffeine but don’t feel like coffee, go for a refresher. To get even more caffeine for your money, ask for no water at all or replace the water with black iced tea. Because refreshers can be pretty sweet on their own, adding black tea to one of the delicious refresher flavors adds a nice balance of bitter and sweet. This trick can double your caffeine for the same price. What more can a college student ask for? Obsessed with pumpkin spice latte’s or other espresso drinks? Say bye bye to #basic– this drink will be your new go-to. Order a plain cup of coffee and add pumpkin spice or any other flavor you choose. To get the milky latte taste, ask them to steam some cream or milk instead of adding cold creamer to your cup of joe. This drink will be cheaper than a latte, have less fat, calories and more caffeine. Mind = blown. For the most caffeine, order the blonde roast of the day. Almost every barista I worked with drank cold brew instead of iced coffee. To the average Joe Blow, coffee over ice is simply coffee over ice… right? Not to the Starbucks pro. Cold brew is brewed with cold water and slow steeped for 20 hours, as opposed to iced coffee which is brewed hot then cooled with ice. In my opinion, what makes cold brew better is the sweet, smooth taste with hints of chocolate and citrus. This coffee is amazing au natural, but if you need some milk in your coffee, cold brew compliments the sweetness of milk better than iced coffee. More benefits of cold brew? Each cup has more caffeine and less calories than a sweetened iced coffee. Doesn’t get much better than that. If you’ve never heard of A Starbucks Doubleshot on ice, prepare to be amazed. Whenever I need an extra kick, this drink packs a punch. In a 16oz Grande size, your barista will pull three shots of espresso and put them in a tea shaker with ice, classic syrup (I prefer cinnamon dolce, but you can get any flavor) and shake it all together. The default is to add 2% milk but you can ask for any kind of milk topper or none at all; make it your own! If you need even more caffeine, the 24oz Venti size has five shots of espresso in it. This drink will be the best companion for your next all-nighter. Chai tea lattes are a delicious alternative for anyone who doesn’t like coffee. Chai doesn’t have as much caffeine as coffee or espresso, but the sweet and spicy flavor will still give you the boost you need. 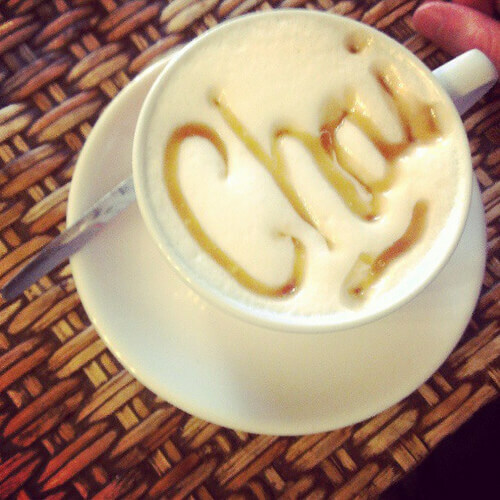 Want a new way to have your chai? If you’re a fan of the caramel apple spice (who isn’t?) but want some extra kick, substitute cinnamon dolce for chai. Steeped, warm apple juice mixed with spicy chai, whipped cream and caramel drizzle is a perfect combination of flavors. This alternative is also great for those who have a dairy sensitivity. Just ask for no whip and you can still get your caffeine fix without any of the dairy that comes with lattes. As someone with a dairy sensitivity, working at Starbucks was always a huge struggle. If you’re like me and don’t like the taste of soy milk or can’t have soy at all, Starbucks recently came out with an alternative just for you. Skip the soy and next time give coconut milk a try. 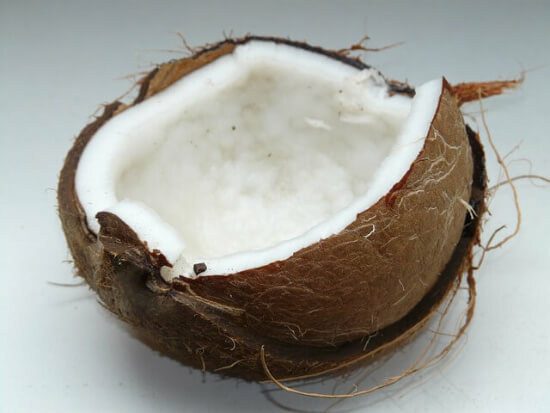 Coconut milk has a little fewer calories and fat than soy milk, but the benefits of coconut milk go beyond that. In Frappuccinos, soy milk often separates and doesn’t blend as well as regular milk. Not only does coconut milk blend better, but it tastes sweeter and more similar to regular milk. A perfect companion for your favorite Frappuccino. Some people love the liquid texture of an espresso-filled Frappuccino, but if you like them smooth, creamy and cheap, never ask for extra espresso. First of all, every shot of espresso costs extra. If you add two or more to your Frappuccino, your order could be crazy expensive. Instead of asking for espresso, just ask for extra pumps of coffee roast. Frappuccinos are made with a special type of Frap roast coffee, not espresso. Adding extra pumps to your drink will only cost you 50 cents extra for as many pumps of coffee you please. Every shot of espresso costs you close to a dollar. Pro tip: If you’re adding anything extra to your Frappuccino, there’s bound to be a lot left over in the blender that gets dumped out. Next time, ask for a tall in a Grande cup or a Grande in a Venti cup to get the extra blended goodness for free.